Sally Bergesen is serious about changing the Olympic advertising landscape. In fact, she's already gathered Oiselle's lawyers to look into taking on the 40-year-old piece of legislation at the crux of the issue: The Ted Stevens Amateur Sports Act. The law gives the United States Olympic Committee (USOC) sole copyright to the word "Olympics" and its intellectual property, and the sale of these rights raises money to fund the USOC. Worldwide Olympic sponsors like Coca-Cola and McDonald's pay up to $100 million apiece for the exclusive right to advertise with athletes during the Games. But the Olympic sponsors only feature a small percentage of the athletes who compete. Bergesen wants to level the playing field so that smaller brands, and the athletes they sponsor, can share the spotlight--and some of the revenue. "The way we see it, it's just not right in terms of how smaller sponsors are being iced out and then at the same time, the USOC is not compensating the athletes. It's so exploitative," Bergesen, the founder of the women's apparel brand Oiselle, said in a phone interview on Thursday. Compounding the issue, the USOC enacted a blackout period in 2012 called Rule 40, which precludes non-Olympic sponsors from advertising with Olympic athletes from July 27 to August 24--before, during, and after the Olympic Games. 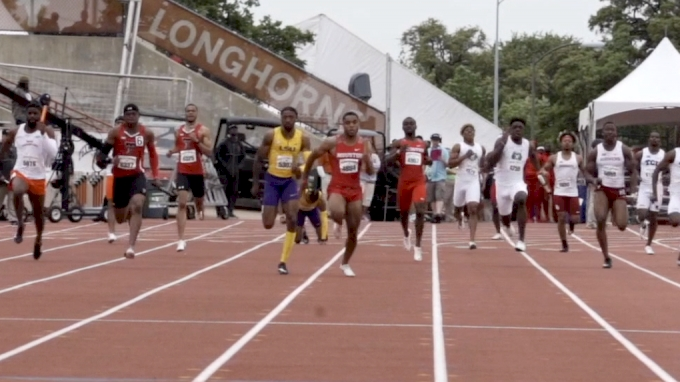 As a result, athletes are unable to take advantage of their marketability by cashing in during the most high-profile championship in their sport. "We're having our lawyers look into bringing together some policy experts because the USOC's behavior is reinforced by the Ted Stevens Act, which is the congressional ruling that gave them these super powers," Bergesen said. 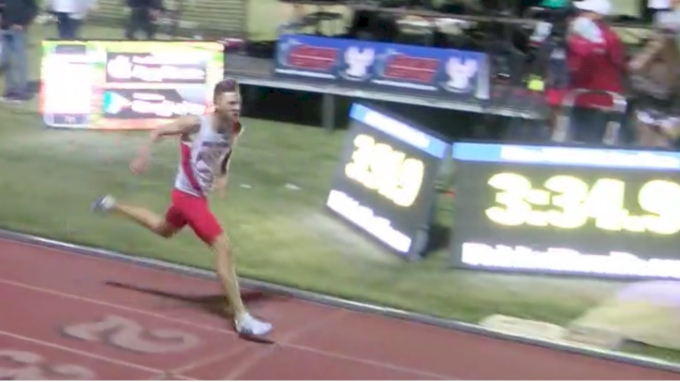 "It's probably the Ted Stevens Act that needs to change as opposed to trying to change things through USATF because they actually don't have the jurisdiction on Rule 40." "They [lawyers] are just looking at the issue. We're not starting a lawsuit, we're not spending a ton of money right now, but I just want them to come back to me with an opinion on what would it take, even if it takes five, 10 years. We're just curious of what it would take on that level," she said. The first iteration of Rule 40, which took effect right before the 2012 Olympics, imposed strict restrictions on what athletes could say online and on social media. After athletes protested, the International Olympic Committee (IOC) revised Rule 40 in the summer of 2015 to allow companies to apply to advertise during the blackout by submitting a waiver in January prior to the Summer Games (though the U.S. Olympic track team isn't even decided until July). The waiver requires the inclusion of a full marketing and social media campaign plan that could not include any Olympic-specific intellectual property. Although Oiselle's campaign plan was approved, the company decided not to run it. On Oiselle's blog, Bergesen explained why they ultimately decided it wasn't worth it to run a campaign. "After some back and forth ("please dilute further," and "do not use Team USA" for an athlete who had been on Team USA), the below campaign was approved," Bergesen wrote. "Come March 16, we decided to not start running the campaign. Because it is generic and non-relevant, it is not effective enough to justify the cost." Later that year, during the U.S. Olympic Trials in July, Oiselle athlete Kate Grace won the 800m and earned her first Olympic berth as the second Oiselle Olympian (she has since qualified to compete in the 800m Olympic final after finishing third in her semifinal heat on Thursday night). 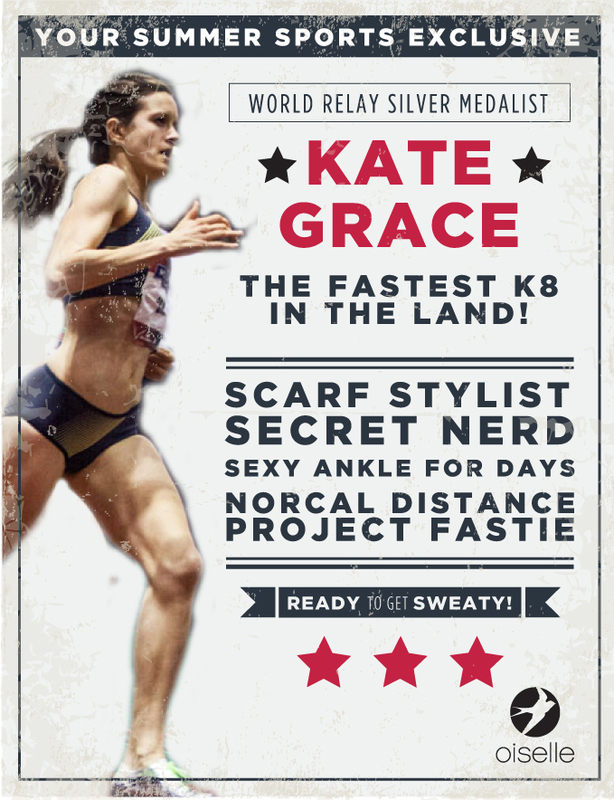 When Grace won, Oiselle updated its blogs and social media to congratulate her. Shortly after, the USOC sent Oiselle a cease-and-desist letter, which forced them to remove all Olympic-related advertising, including photos. Throughout the process, Bergesen informed the community through consistent blog updates, even if that meant having to exclude words like "Rio" and "championship." Relatedly, Nike is the exclusive sponsor of USATF, and has locked up rights until 2040. Eventually, Bergesen hopes USATF can take a page out of USA Swimming's book, which has several official sponsors. Even individual relay team members compete in their respective sponsor's gear, which can vary from athlete to athlete. Part of the reason for varying brands in swimming is because swimmers' gear is considered technical apparel, which affects performance. Bergesen and her team are exploring the idea of "enclothed cognition," which Bergesen said is similar in that "what you're wearing actually has a significant impact on how you think and how you feel." 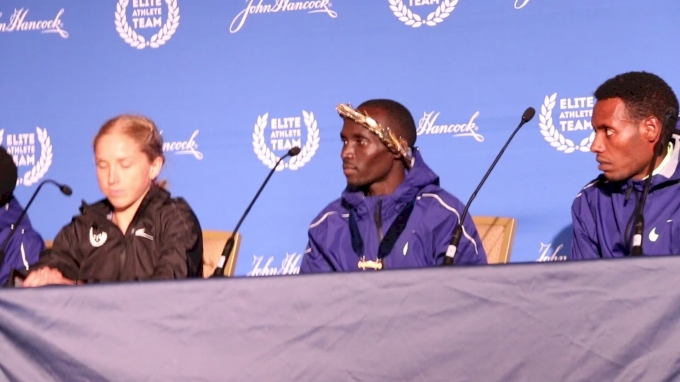 "We all know when you suit up for your race, it's like putting your armor on," Bergesen said. 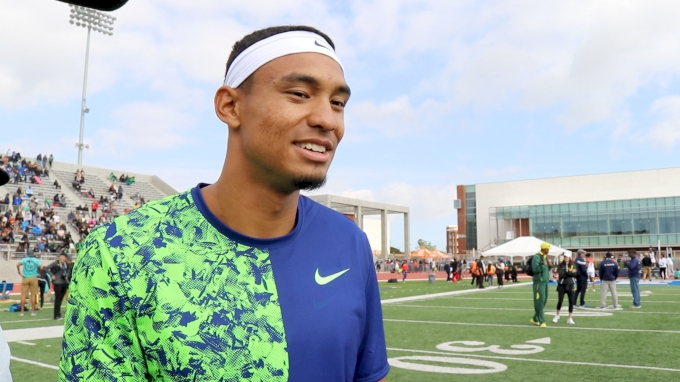 "In that respect, this is where I think it gets to be an interesting area in track and field. Can apparel be considered technical gear based on the relationship it has with your mind?" She referred to a conversation with Oiselle athlete and two-time national champion Lauren Fleshman, who told her that if she made the Olympic team this year, she may have made the argument that wearing Nike would have a negative impact on her performance based on her personal experience of being sponsored by the brand for several years. Bergesen admitted that presenting the idea of "enclothed cognition" is a long-term goal, but will continue to keep pushing for this issue and more. As far as Rule 40 goes, Bergesen said lawyers and policy makers are gathering as much information as they can right now, and that the team will meet after the Olympics to see if taking on the Ted Stevens Act is even feasible. One of those policy makers includes Washington state senator Patty Murray. 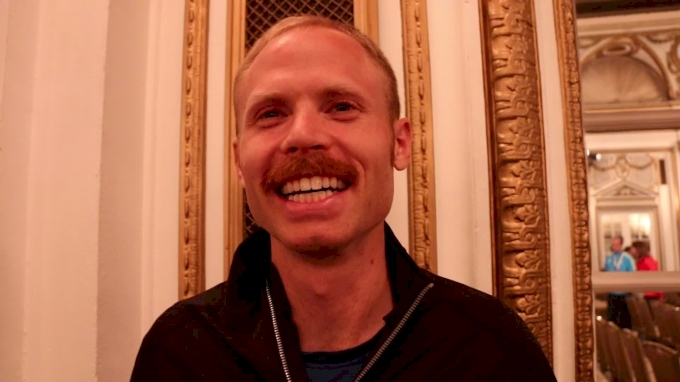 Bergesen said no other running apparel companies are involved, yet, but hopes others will eventually. "I hope for change in USATF, I hope for change around the Ted Stevens Act and everything that it influences; the USOC and Rule 40." Bergesen said. "I'm happy to see that it's gotten so much louder with this Olympics, and I think that's going to continue to be the case."